Dirty Boxers News; with a top tip! Need to sell all the shares ASAP! Money from the shares aren’t JUST for the book – but also to make the podcast better! Want to broadcast this show? Can you suggest software other than Castblaster / StudioRack? So what do you think of girls who hit on gay guys? I’ve got chris’ point of view, http://goo.gl/Yldz , what do you think, Brown? We’ve used Castblaster since Day One, happy to discuss the pros and cons. Thanks mister, however I am concerned about using a piece of software that still seems to be in beta, any other options / suggestions? Good to hear you are still going strong–I like the book idea too. You did make me feel like you were going to go off (in more ways than one) So does this mean you wont be having friends on as much since you are at home. Say hi to mom and dad for me. Do the Castblaster thing then, it’s available from that forum link. I love it, wouldn’t use anything else. 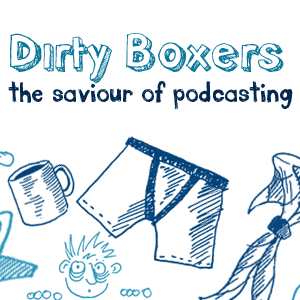 Previous PostPrevious Dirty Boxers 066 – I’m Aled Jones, it’s all gone wrong for me!